SKU: DE12019. 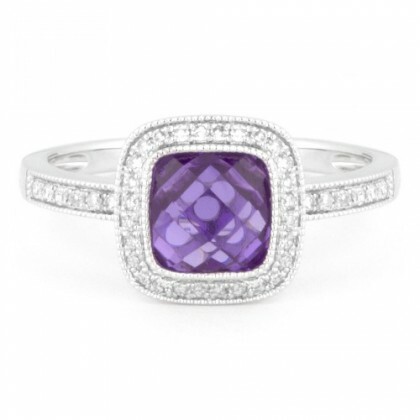 Categories: 14K, Amethyst, Diamond Rings, Gemstone Rings, Gold Color, Purple, Rings, White gold. Tags: amethyst, AMETHYST RING, diamonds, ring, white gold. 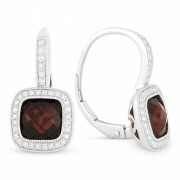 Garnet Stone Surrounded by Diamonds Set in 14K White Gold with Leverback Posts.